Liguria Links section makes it easy for you to put links on your site or blog back to LiguriaGuide.com . 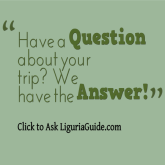 We hope you have found LiguriaGuide.com a source of high quality information on Liguria and Italy. We invite you to use some of the options below if you believe that a link to LiguriaGuide.com will also benefit the readers of your website or blog. 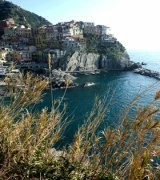 Find out why LiguriaGuide.com is content rich and link-poor ! Note that there is no need to download the images to your computer. You just have to copy and paste the code below each text/image link. Simply highlight and copy the HTML code in the boxes below and paste it where you want it to appear on your website or blog. The links below will open up in their own window, your page will still be open underneath it. This way you will not lose any of your visitors. Insider travel guide to truly enchanting villa holidays in the beautiful region of Liguria in Italy. Choose from our favourite picturesque apartments and other Liguria accommodation to finding out the yummiest restaurants and trattorie, to exciting hiking paths and sightseeing spots. Note that you can find as well as suggest other travel websites and resources in our dedicated section, offering tons of exciting new travel destinations and vacation ideas.